2009 TOYOTA SIENNA XLE with 165,011 miles. MOVE YOUR FAMILY IN LUXURY WITH THREE ROWS OF LEATHER SEATING AND A REAR ENTERTAINMENT CENTER!! 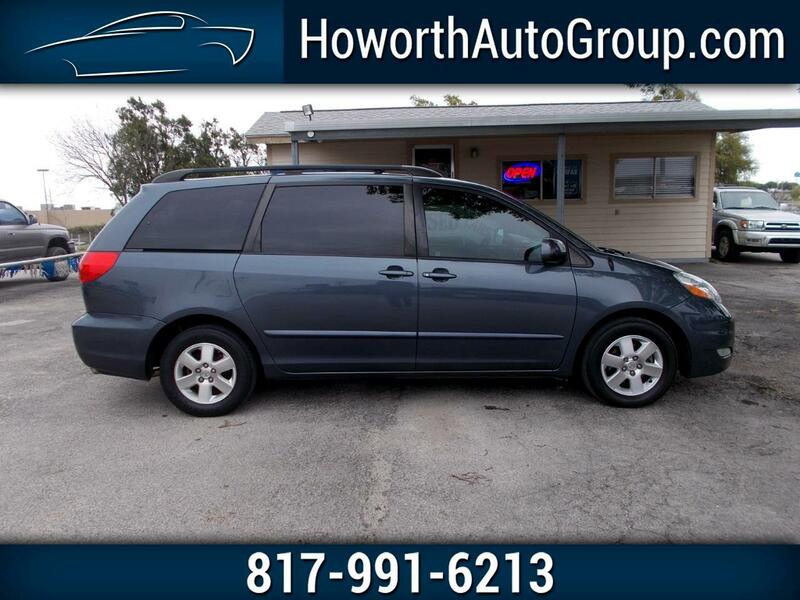 This TOYOTA SIENNA is equipped with a powerful 6 cylinder engine that runs very well, cold a/c, warm heat, power steering, power brakes, power windows, power locks, power mirrors, power seats, heated seats, power sliding doors, power rear door, gray leather interior, AM/FM radio, GOOD tires and much more. THIS TOYOTA SIENNA WORKS VERY WELL. CALL QUICK BEFORE IT IS GONE!!!!! Call Amy Howorth at 817-991-6213 or go online at howorthautogroup.com to apply online today.